I’m Kirk Richardson, and I’m a journalist and self-confessed craft beer geek. As a long-time food and beverage writer, there is nothing I enjoy more than sharing stories about the world’s great independent breweries and the creative minds behind one of the world’s fastest growing industries. 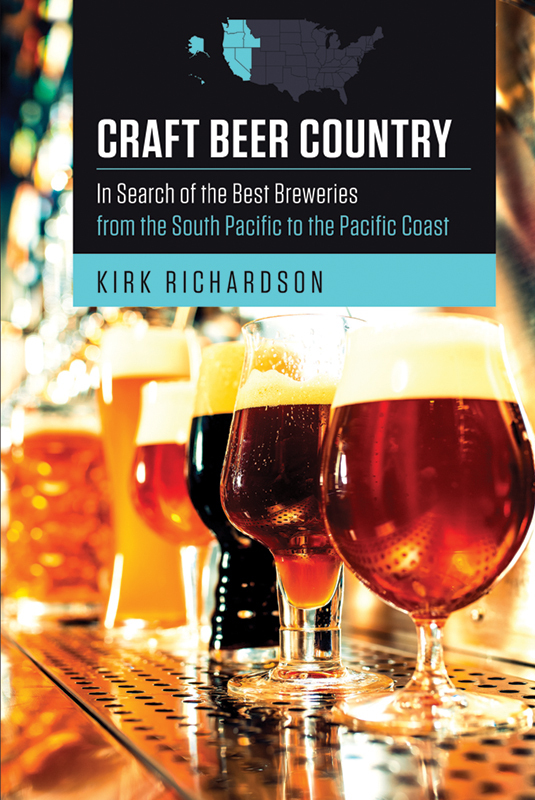 I’ve combined my passions for beer and writing to build a blog and publish my first book: Craft Beer Country: In Search of the Best Breweries from the South Pacific to the Pacific Coast. In future books, I’ll be writing about some of North America’s other hot spots, including the Rocky Mountains to the Southwest, the Midwest to the Deep South, and the Atlantic Coast to the Northeast. Looking for something to quench your thirst until then? Hop on over to my blog, where you’ll find some exclusive content that didn’t make it into these books—posts from my visits to various breweries and festivals, and even a few beer reviews. If you have a favorite beer or a hot new brewery that I should know about, drop me a line at craftbeercountry!at!gmail.com or follow me on Facebook at @CraftBeerBook. For press inquiries, event bookings, or for more information about Craft Beer Country, please contact Michelle Webber at michelle!at!mascotbooks.com. For bulk purchase and volume pricing information, please contact william!at!mascotbooks.com.